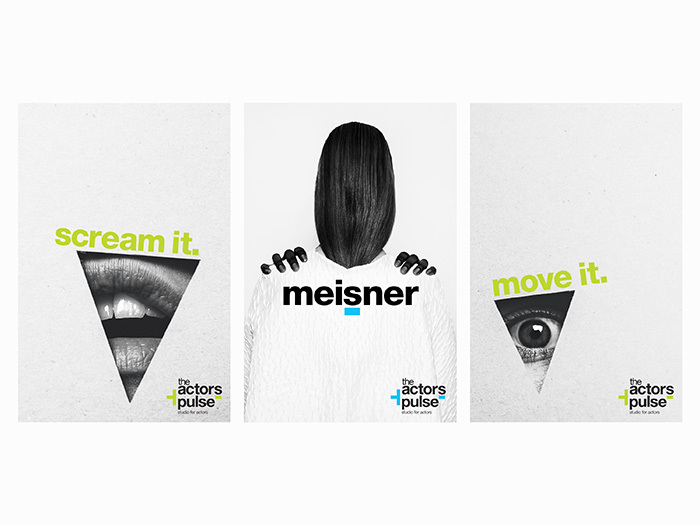 Founded in 1997 by Billy Millionis, The Actors Pulse is an acting school specialising in the most modern version of the Meisner Technique in the country. The Actors Pulse is one of Sydney's premier acting schools, training actors seeking professional careers in film, theatre and television. The primary target audience is students and potential students (males and females aged 18-35) and the school is a high energy and interactive community. 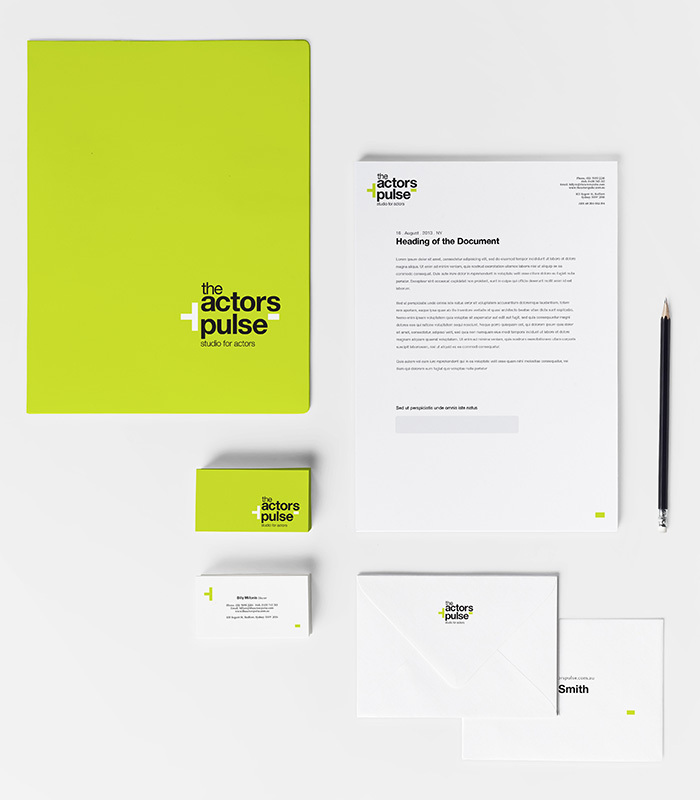 The Actors Pulse logo is clean, simple and bold, much like the methods they teach. The plus and minus symbols communicate the idea of increasing and decreasing the tempo, a nod to the movement and sounds of drama. They furthermore work as visual elements that can be adapted in the required colour to suit the piece of artwork.